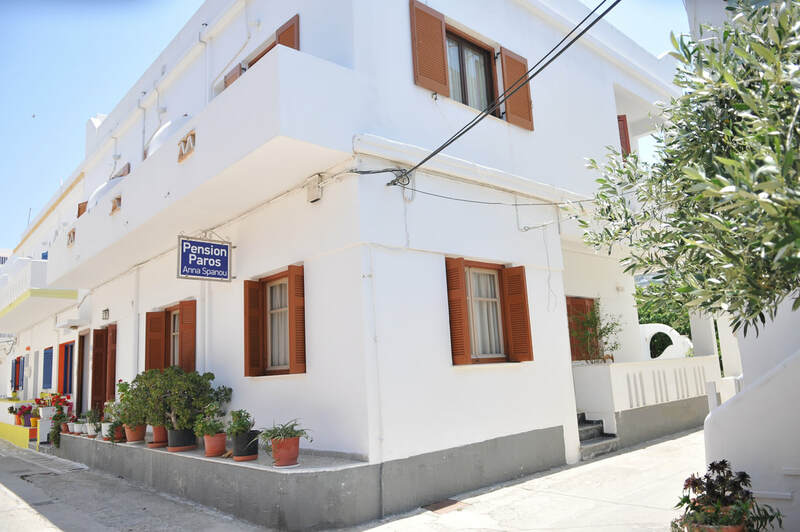 Anna Spanou pension is a small family business offering rooms for rent in the centre of beautiful Parikia, Paros's ancient capital town. 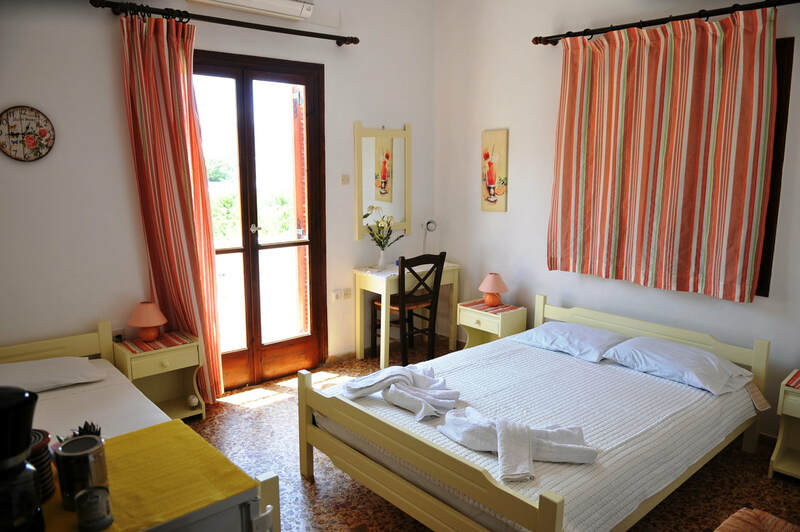 Decorated simply, in traditional style, the pension has 6 rooms available at very reasonable rates, for discount holidays in the Greek Islands. 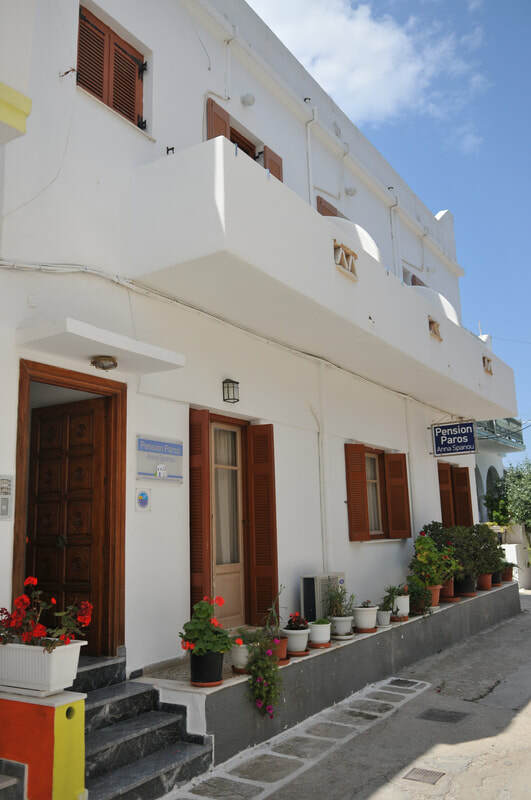 The central location means that everything is close by, shops, restaurants, nightlife, historical sites, and beaches, all are within easy walking distance. 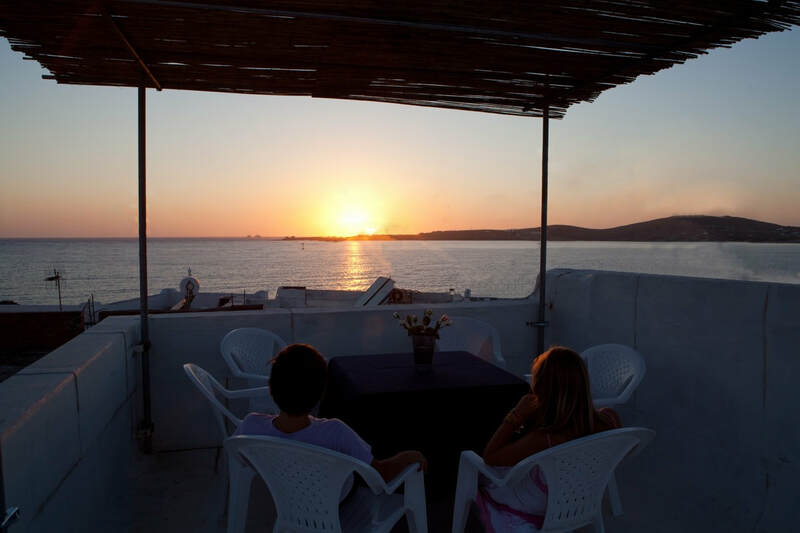 Enjoy your holidays in Paros, Greece with warm and friendly traditional Parian hospitality at Anna Spanou Pension. 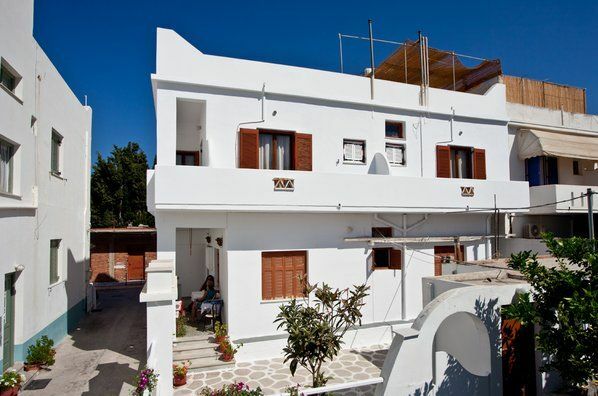 Anna Spanou Pension is situated on a peaceful street in the heart of the capital of Paros, Greece; Parikia. 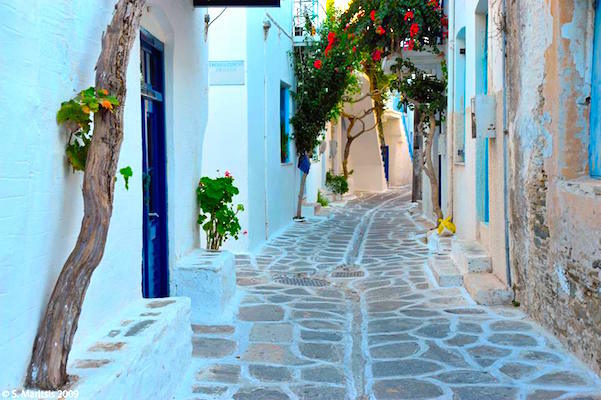 Close by, is the ancient agora, or market street, and the surrounding old town, (one of the largest in the Greek islands), with its maze of tiny twisting whitewashed streets, home to a varied collection of shops, restaurants, cafes and bars.